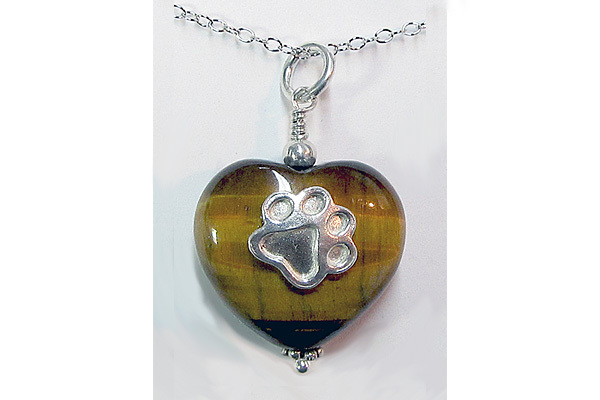 Made exclusively for cat people this beautiful hand carved Tiger's Eye Gemstone sports a small solid sterling silver Puppy Paw® that can even be made into a Mother's Paw®. This beautiful Tiger's Eye is about 18mm x 15mm or that of a very thick, puffed dime . . .
Sterling silver and w/a natural Tiger's Eye gemstone. Each gemstone is different! Comes w/an 18" sterling silver chain.